Under the slogan „Quality through high precision“ we implement your ideas. Accuracy, quality and technical perfection characterize us. Since 1974, we have been successfully working for our customers and are developing conclusive solutions in plastic. We draw on our experience in design, engineering services, entire projects and subassemblies, tool and mold making, injection molding and assembly. 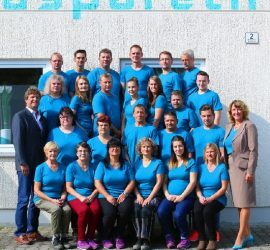 Always in good shape with Kaspareth – Learn more about us. We offer training places in an innovative and crisis-proof profession. Interested? Please contact us and apply for a training place 2017/2018. We look forward to you!